Another World Barista Championship is over. 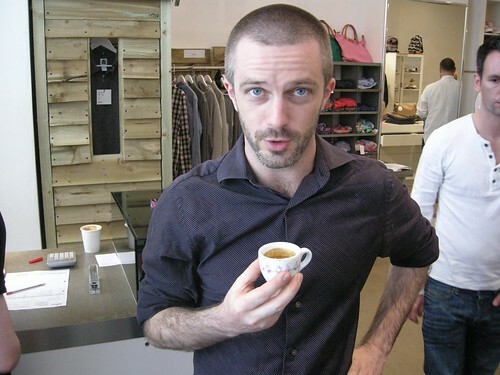 First of all: Congratulations to Mike Phillips, the new World Barista Champion. We’re really happy to see Mike claim the title as he’s a wonderful ambassador for specialty coffee and all around a good guy. The whole WBC and Caffe Culture show was most of all a great opportunity to catch up with old coffee friends and meet new. By now it’s like a family reunion every time, and sort of sad when it’s all over. We just wish there was more time to talk with everyone. 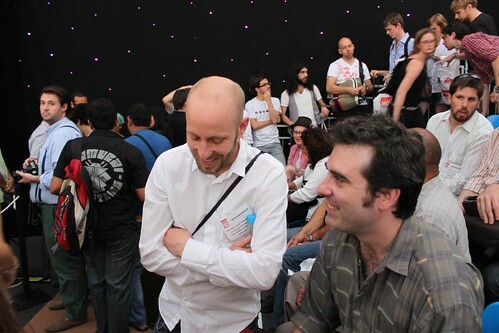 We had great talks with so many people, Mike Phillips, James Hoffmann, Anette Moldvaer, Stephen Morrisey, Tim Wendelboe, Tim Varney, Tim Styles (all those Tims…), Geoff Watts, Doug Zell, Peter Giuliano, Liz Clayton, everyone from La Marzocco and on and on. I really shouldn’t have started listing any names, cuz I could go on for hours and I’m sure to be forgetting too many. We’re also really thrilled to have been selected by La Marzocco to get one of the first two prototypes of the brand new La Marzocco espresso machine named Strada. 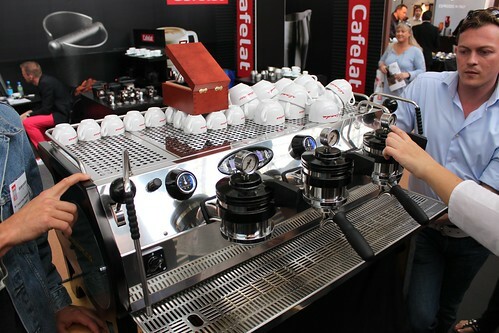 Kent Bakke offically presented the Strada and that The Coffee Collective will have a machine for field testing very soon. You can check out more about the Strada on the LM blog. And we’ll blog much more once the machine is here. 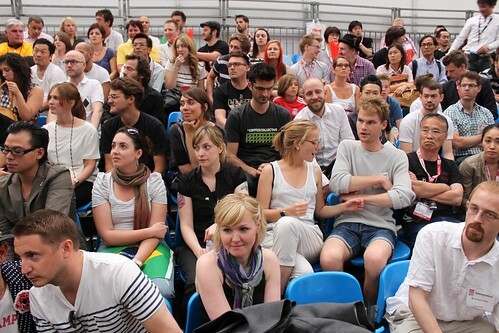 For us, at the Collective, it was also exciting to go as a whole group. 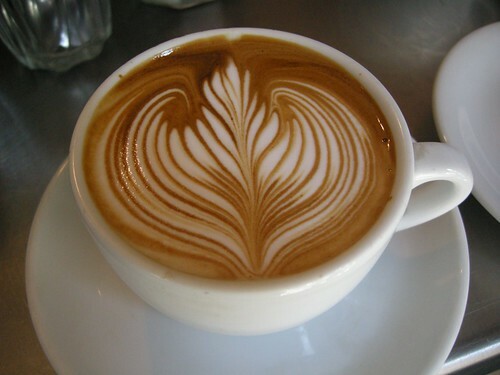 Besides the four owners, Casper, Linus, Peter and Klaus, we had two of our baristas join us, AnneStine and Mathias. Besides that we had four girlfriends/wives and two children, plus our “intern” Jordan Barber. So we should really thank our two remaining baristas, Sara and Sofia, for running the coffee shop while we were away. They streamed the whole WBC live in the coffee shop too, so they really were there with us in spirit. 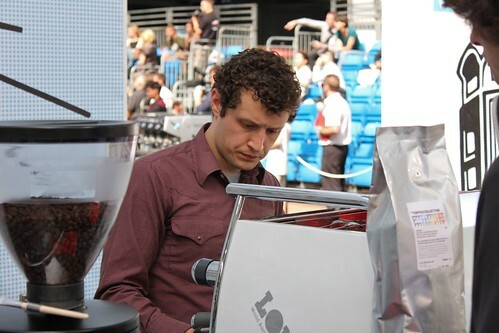 Our Espresso blend was also to be found at the WBC Espresso Bar. We brought 20 kilos to be served during day 1, and our friend Jordan Barber volunteered for the task of pulling shots and serving cappuccinos for the visitors. Outside the Olympia exhibition center, where the whole event took place, we visited some of London’s good coffee spots. Square Mile roastery, Penny University, Kaffeine, Prufrock @ Present, Taste of Bitter Love, Fernandez & Wells, Milk Bar and of course Flat White. It was really interesting to taste the different coffees and even the same espresso in different locations. 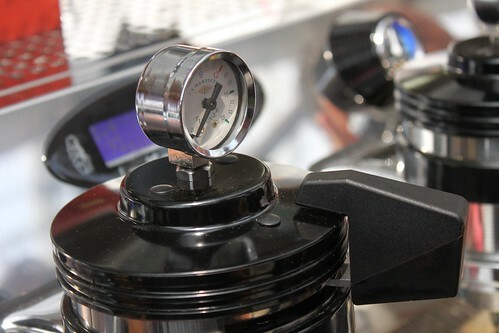 Overall we were quite impressed with how much the level has improved and we had some really great coffees. London, for it’s size, still has a lot of opportunity for growth in great coffee places and we’re sure it will evolve immensely in the coming years. So now we’re back home feeling really inspired and eager to see everyone again. Thanks to everyone for making it a really fantastic week! I’m the random Welshman that you allowed to tag along in your attempt to get into milk & honey. I just wanted to say thanks for helping me eventually find paddy o’whatsits, it was great to meet such a friendly bunch of guys!